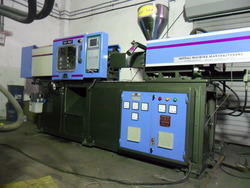 Plastic Injection Moulding Machine: ? 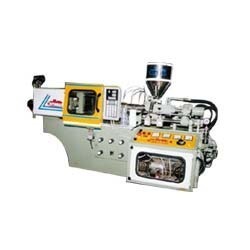 We are offering Mini Plastic Injection Machines. This machine is suitable for molding small plastic parts. It saves the moulding cost, die cost, and requires less floor space. 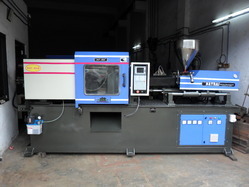 This Mini injection molding machine is widely used for molding all kinds of plastic. Optional Features Air ejector systemServo Motor ControlledCore pulling arrangementMotorized mould height adjustmentManual and auto lubrication systemMould lifting arrangementWater batteryDynamic barrier screwTio2 coating screwReturn line magnetic oil filterHeating insulation coverHopper dryerHopper loader Features: Low power consumptionHigh efficiencyEasy to installCeramic heaterSensitive low pressure mould systemEnergy saving electro proportional control hydEnergy saving electro proportional arualic system with plc5 Point Twin Toggle ClampingDirect Drive Screw System Contolled by Hydrulic Motor.Twin & Balance Hydrualic Cylinder Injection unit.